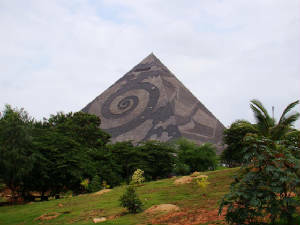 Pyramid Valley is a meditation centre located in Kanakpura road which is around 40 km from Bangalore city, Founder being Brahmarshi Patriji. "Observe your breathing and nothing else" is the main mantra of meditation. This is not the place to go in a group and enjoy but to go individually and experience. The architecture of the Pyramid is too good. You will get lunch for free of cost from 12:30 to 2 pm and dinner from 7:30 to 8:30 pm. Accomodation is also available. Entry fee for the valley is 20 rs per head. Beautiful cleanly maintained garden is there to sit and relax. One buddha statue is there in front of the pyramid. 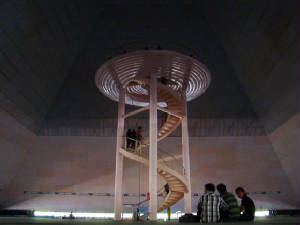 Sri Ravishankar aashrama is another place you can visit which is nearby.